How Social Media is Impacting Public Relations – Kent Huffman: Marketing. Branding. Strategy. Tactics. Results. The rise of social media has significantly changed how marketers must now approach public relations. It wasn’t that long ago that sending out information-rich news releases would stimulate organized, phased coverage of a new product release or an important event for your organization. If newsworthy enough, releases were nearly guaranteed to not only be picked up in the short term, but also prompt in-depth inquiries from reporters and editors for future stories. Let’s take a look at three scenarios that require PR professionals to be more prepared and nimble than ever before. After blasting an interesting news release or holding a newsworthy conference call, it seemingly happens with lightning speed that energetic bloggers and online journalists spring into action to repost, comment on, or repurpose your announcement. Most likely, they’re putting their own spin on your content to amaze, amuse, and inform their followers. In this era of speed and empowerment, these digital news makers often don’t take the time or believe it necessary to call you to clarify key points or gain added insight. And if they do, you must be prepared to respond instantly. This new reality puts far more pressure on public relations pros to anticipate and include desired information in the original release, and if contacted, be ready with required answers, as well as have the authority to speak for their organization without long approval cycles. You Don’t Say (Or Do You)? If your news event creates significant online dialogue, there is the oft-debated dilemma of whether to join in the conversation or let the interactivity run its natural course. It’s particularly tempting to get active when there is misinformation or negative conversations underway! Many communicators contend that by joining in, you add credibility to the misinformed views. Plus, they believe your input does little to sway opinions anyway, since you’re obviously biased towards the company line. On the other side, many are convinced that well-reasoned responses can stem the tide of negativity and add an air of authority to the proceedings. In either case, it’s likely to be a significant time drain to participate personally in endless back and forths on tangential topics that may have little resemblance to what you communicated in the first place. Bloggers and online journalists are often savvy and well connected. They may get an inkling of your story and offer conjecture or post key elements—even while you’re passing around draft versions internally for final approvals. To minimize that possibility, it’s important to speed the process of crafting your message and preparing agreed-upon talking points, should word get out prematurely. It’s also a sound practice to train (or perhaps “threaten”) internal associates who may have advance knowledge of news to not tip off anyone who could publicize that information prematurely. Our discussion so far has presumed that your news has generated interest and activity. What if it doesn’t? 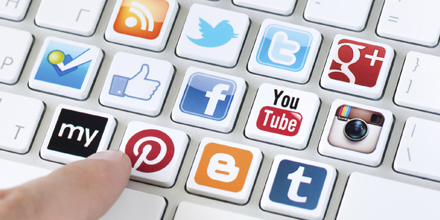 Social media channels provide excellent opportunities to establish relationships and seed news. This is not too different than the recognizable historic approach of pitching stories. In her blog post, 8 Easy Ways to Use Social Media to Optimize Your PR Campaign, media relations professional Erin Richards suggests following journalists on Twitter who cover your beat and keeping an eye on their conversations daily. She also recommends subscribing to Help a Reporter Out (HARO) as an incredibly easy way to browse through journalist inquires and find opportunities that are a fit for your organization or your client. In addition, more and more organizations are creating—and becoming more active—with their own social media outreach. Twitter, Facebook, LinkedIn, Google+, YouTube, and other popular social media channels hold strong communication potential to reach your digital and mobile online community.